So you're shopping for a truck bed cover. You've made a good decision. Truck Bed Covers not only improve gas mileage by as much as 10%, they also protect your cargo from water and the elements, as well as add a sense of style to your truck. Here is what you need to know about the TruXedo Edge Roll-Up Bed Cover / Tonneau Cover: Made in the USA, TruXedo Edge Roll-Up Cover installs in less than 20 minutes with no drilling or automotive knowledge required to install. 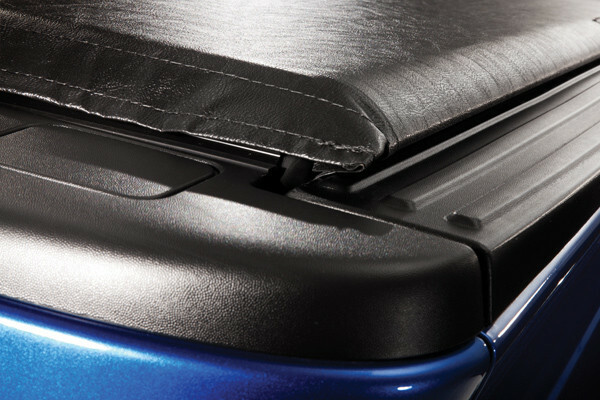 The included instructions make installation of the TruXedo Edge Bed Cover Cover simple for even the automotive novice. The TruXedo Edge is a Roll-Up style truck bed cover, meaning that once installed, it simply rolls up in seconds if you need access to some, or all of your truck bed. Thanks to the inside mount design, you�ll still be able to use stake pockets, bed rails, tie downs, and more. 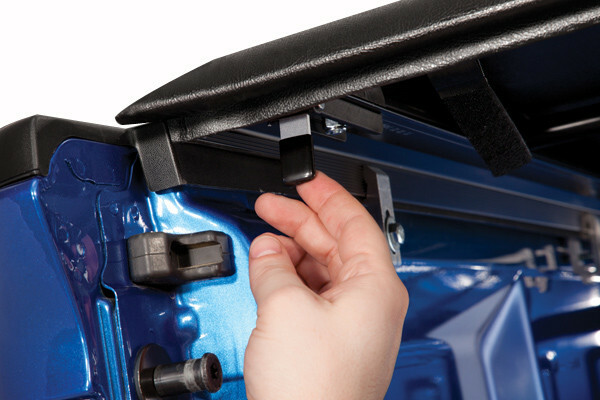 The TruXedo Edge also uses an adjustable tensioner making it easy to keep your truck bed cover snug. Your cover isn�t able to be opened without opening the tailgate first, so if you have a locking tailgate, your cargo will be completely secure. TruXedo is so confident in the quality and workmanship of the Edge Truck Bed Cover, that they offer a 5 year warranty. We are proud to offer free shipping on our TruXedo Edge Truck Bed Covers. The part number for this TruXedo item is 897101 and it fits 2008-2015 Nissan Titan (5 1/2 Foot Bed) models. Aerodynamic Cover Design: Truxedo Edge features an arched tailgate side design with a stylish look that improves the appearance of the tonneau cover on your truck. Simple Installation: Truxedo Edge installs with basic hand tools in less than 20 minutes, with NO DRILLING REQUIRED. Easy Opening And Closing:Open the tailgate and release the quick latch. To close, rotate the cover into the latch assembly and press closed. Cover is secure and cannot be opened without opening the tailgate first, so if your tailgate locks, your cargo will be completely secure. Full Truck Bed Usage:Truxedo Edge side rails mount along the inside of the bed. Stake hold pockets are still available for maximum versatility. Adjustable Tension Control:Tension is adjusted in seconds to keep your cover snug in any situation. Warranty: Truxedo Edge features a 5 year warranty.